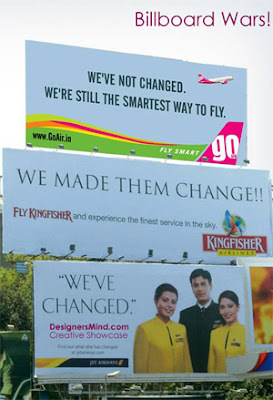 Real billboard wars in Mumbai, India where three Indian airlines battle it out on the streets. Jet Airways started and Kingfisher responded and lastly GoAir had the last laugh. Creative advertisement war at its best.